Chai (rhymes with "pie") is the word for tea in many parts of the world. Masala chai, meaning "mixed-spice tea," originated in India, and is made with milk, black tea, and spices. It has become increasingly popular at coffee houses and is most often made from powders, syrups, and teabags. Pre-made, however, can never compare to freshly brewed masala chai (also known as “chai tea”). Making it from scratch takes more time, but is infinitely more rewarding. 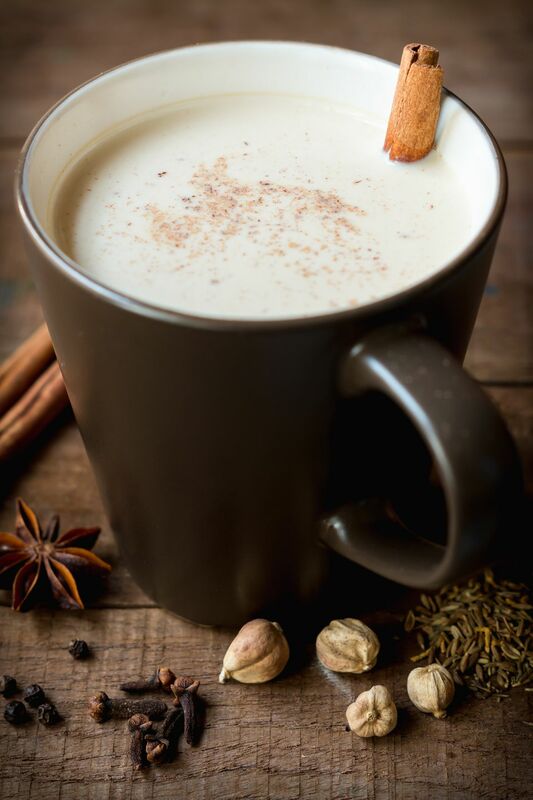 This recipe is a barebone, traditionally-based version of masala chai including cloves, cardamom, peppercorns, cinnamon, and ginger. Freshly grated ginger is preferred and there is a lot of difference between the whole spices and their pre-ground versions. But you can make those substitutions if needed. If you have difficulty finding some of these spices at your grocery store, look for an Indian specialty grocery or an international food store. Masala chai is a comforting and warming drink with one-third the caffeine as coffee. It can assist in digestion and is perfect for an after dinner or before bed beverage. In a medium saucepan, combine the milk, water, and spices. Simmer over medium heat for 10 minutes, stirring occasionally. Add the sugar and tea leaves. Stir, and then simmer for 5 minutes. Strain into glasses or mugs and serve. Once you have made it this way, feel free to experiment with blending the many other chai spices out there into your brew—there is no set recipe, and versions vary from Indian household to household. While whole milk is typically used in India, you can certainly substitute skim milk or a milk alternative such as soy milk, almond milk, or rice milk, or coconut milk. Other spices you can use include coriander, fennel seeds, lemongrass, star anise, allspice, tamarind, vanilla, and nutmeg.